In the past year I’ve heard of two situations where the improper use of a satellite emergency notification device (SEND) such as an DeLorme InReach or SPOT Messenger have caused SAR to be called out to search. In both cases I suspect user error (misunderstanding how the device operates) combined with badly designed user interfaces to be the cause. In the first case, I was part of the response to assist Ridge Meadows SAR to look for a missing person near Tingle Peak, a very remote and difficult to reach area east of Pitt Lake. The missing person had actually been rescued previously by SAR. On this occasion, he had ventured back into the same area, taking a SEND device with him. His plan was to trigger the device every evening to notify a contact that he was OK. The contact received a few updates and then they stopped. After 10 days with no updates his contact alerted SAR and the search started. The subject was found to be in excellent condition and quite confused as to why SAR was called. When interviewed he claimed he had been triggering the “I’m OK” function every evening for the entire trip. This case I did not witness, but the profile is so similar it has to be the same cause. Vernon Search and Rescue was called to rescue a pair of backcountry skiers on a multi-day trip in the Mabel lake area. When they were located they claimed they had been triggering the “I’m OK” function on their SEND device every afternoon. After three days of not receiving updates, their contacts called SAR. This case had a very dangerous side story where a member of the family went in to find the subjects, endangering himself and further risking SAR resources – consider that a single individual is highly unlikely to be able to handle an emergency situation on their own, and becomes a liability for SAR. Despite marketing materials that seem to show instantaneous operation, my personal experience with both InReach and SPOT SEND devices are that they are notoriously slow. An “I’m OK” message or any other kind of communication can take many minutes to be transmitted, and the user interfaces on both devices IS NOT CLEAR on when that has happened. For several projects I’ve been involved in, I’ve tested both InReach and SPOT devices. On several occasions, with both technologies, I’ve experienced wait times of up to 45 minutes for a message to go through. This holds true for the “I’m OK”, and track” functions of both devices, as well as the text message function of the InReach device. If you search online forums there are MANY example of people experiencing even longer wait periods for sending messages. These I feel are anecdotal in nature, but indicate that there is an issue. A very common complaint with both devices is the user interface – as mentioned above it can be hard to figure out, without carefully reading the manual, whether a message has been sent. It’s impossible to figure out whether it has be received unless you have an InReach and your recipient sends a confirmation message back. Even after reading the manual carefully, I’ve found it confusing to determine whether a message has been sent. For SPOT in particular the user interface consists of buttons and some LEDs. To determine the state of the device you need to look at how the LEDs are blinking. Almost nobody can remember this, so taking the manual with you could be essential. For InReach, even experienced users have related incidents to me which are troubling. In one example, some SAR users had thought that they had sent a message in the evening. When they turned the device on the next morning, the message which had been “queued” was sent. This resulted in quite a bit of confusion. The combination of slow messages and bad user interface is combined with unrealistic user expectations – often caused by marketing materials that over state the abilities and performance of the device. The expectations of a quick, easy to use device results in people planning to use it in a manner that is not necessarily how it was designed to be used. The original design was for the device to be used in an emergency – where you would call for help only if you needed it. However, in the two examples above we can see that people are using it for the “I’m OK” function, and calling for help when that signal is not received. This is a very different use mode where something is assumed to have gone wrong if the reassurance is not sent. It’s also a use that is much more prone to failure. I won’t attempt to go into the details of using individual devices here as there are too many models and differences between them. I present some general information here. SEND devices communicate with satellites. They have an on board GPS. They send your location as a text message through a satellite. You’re holding a device that’s talking to a vehicle about a thousand km away moving at 28,000 km/h. Both systems communicate via satellites in Low Earth Orbit. SPOT functions on the Globalstar satellite network which has 48 satellites in orbital planes at 50°, and statistically more likely to be visible to the south of any place in Canada. If you are in a valley without a clear view to the south (in Canada) you may experience significant delays in transmitting your message. It is IMPERATIVE you keep the SPOT beacon on after hitting “I’m OK” and make sure you know what the LED blinking signals on the device indicate. InReach uses Iridium which has 66 satellites in polar orbits, meaning they are far more likely to be visible overhead and generally gives better coverage and slightly more reliable communications. However, many users have reported confusion and delayed message sending and receiving and it is highly recommended you understand how to tell the device has sent the message, and leave it on to ensure it has been sent. The signal from both devices will be adversely affected by heavy tree canopy, clouds, and rain – this means in bad conditions it could take longer to send. Both systems operate better when you have a clear view of the horizon, giving you the best chance of “seeing” a satellite. This means valley bottoms are the worst place to send from. Higher up is usually better. The battery life in both systems is very good, with devices being on, and in passive mode for days or weeks. You should always err toward making sure the message has been sent rather than preserving the battery in order to avoid confusion. To sum up, using SEND devices is not fool proof. Messages can take as long as 45 minutes or longer to send. understand how to read the device to tell when the message has been sent. understand how the device works. make a cheat sheet if you can’t remember. Try to get a clear view of the sky with as much horizon as possible. Leave the device on for up to 60 minutes after sending the message or until you’re sure it’s sent. Not receiving an “I’m OK” message does not mean something is wrong. These devices are designed to be used to call for help. The lack of an “I’m OK” function should NOT trigger a search. Only an SOS should trigger a search. From the accounts all were user error IE not waiting to see if message was sent or lack of familiarity of the device’s operation. I switched from SPOT to InReach because of the 2 way communication ability. We used ours to arrange for an early exit from a Northern river last summer. I find the InReach works well and it shows clearly whether a message has been sent or not. We also make sure our emerg. contacts and family members who receive Oks and tracking info understand no communication is not an emergency. They also know our route and timeline. My SOS message contains a hyperlink to the full trip plan on a publicly accessible website so searchers have the full trip plan independent of my contact. My ok instructions to my contacts clearly identify that an absence OKs means nothing and in fact make a point of telling them that I do not intend to send regular or possibly any OKs. I only use OKs to occasionally leave cookie crumbs of key locations should I ever hit my overdue time in a state in which I cannot trigger SOS. For trips with a full trip plan i also print copies for my partners so they have a record in case I am not conscious. Also, for most trips I also carry a vhf for which I leave key frequencies for emergency responders to use for short range or possibly long range communications (depending on repeater networks). I also only make detailed trip plans and custom messages for multi day trips. For day trips I have sport specific generic messages. For these day sport specific messages the sOS changes between each to give responders a heads up on what technical discipline to be ready for, ie Swift water, high angle, ski etc. I highly recommend people not build family expectations for daily ok checkin. Between equipment challenges and plain old forgetting it is far too easy to create confusion and undue worry. That said I love having these devices for the true emergencies. Aaron, your comment makes me think that you’d be perfect to write a “best practices” document on how to properly use these devices. So far I have been documenting the mis-uses and user error cases here, and polling my SAR colleagues, but a how-to would be very useful as well. What do you think? Post it to medium? I’d love to. I’ve been meaning to put together a presentation for our annual early winter avalanche awareness days and realistically can’t get to it till late fall. Caveat is it is one persons views and I limited experience with 2way /inreach. This is something I discuss fairly frequently with new and experienced backcountry users while I do AdventureSmart presentations. At a company I worked for for the past 5 years we had employees out in remote areas which we would have them take SPOTs with them. After a season of using them we started to find that there would be instances, much like your two stories that you shared where our employees just seemed to stop sending messages. As a result it actually resulted in myself having to do a number of investigations after our emergency procedures got activated only to later find out there was no issue other than the message not getting out. There were a number of learnings that we had, which would benefit any user of the SEND devices. First, you need to know your device! We found that users that were unfamiliar with the devices did not know its limitations, such as not understanding that the specific blink pattern on the spot means the battery is to low to transmit, or understanding the landscape which could limit a message getting sent, or that it can take up to 20 minutes for the message to send, so don’t put it in your pack and carry on thinking it did. Second, make sure you have the correct batteries, and ensure they are charged. And Third, if your investing in a device, spend the extra money and get something with 2 way capability. The ability to get confirmation back in an emergency and to know your messages are recieved is a game changer. Additionally with the InReach your contacts can request your location so you will know they are trying to figure out what’s up. I personally have an extensive amount of time using the SPOT (1st, 2nd and 3rd Gen) and the InReach (1st Gen and Explorer). With this I have found that the message more reliably gets out with the InReach, and that getting confirmation back from your contacts can save a lot of people’s time, and can save your life in an emergency. Thanks for your write up and work towards increasing the publics knowledge! I’m glad to hear such positive reviews of inreach. I got my spot Gen 2 before inreach came out. Sounds like I should plan a transition. The paragliding community use these a lot. Most of us have paid for the tracking function and leave it on when we fly. If you have a bad accident and cannot press any buttons the device does you no good. Surprises me how few hikers seem to spend the extra $50 for tracking. There is so much info, for friends and searchers, in your track. They can see you’re progress and why you might be late etc. Also we use another website where you can see multiple devices both Spot and Inreach on one Google map page. The page loads way better than the lame Spot shared pages as well as having many people on it. The other really good usage tip is to put you own phone and email in the OK and other messages. If you are checking in when back from a daytrip you’ll know the message got out as soon as you get to cell reception. Which might be right there in the parking lot. Many times I press OK and a few minutes later my phone lets me know my message got out. No need to decipher the confusing Spot LED code. And it reminds you to turn the tracking off so you don’t track all the way home in the car. Although maybe that’s a good idea too sometimes. I should probably make a cheat sheet for the LED’s and include the content of each custom message. as suggested here. Thanks for the comments Alex. I’ve used both SPOT and inReach and have been very disappointed with the user interfaces on their corresponding “tracking” web pages – terrible maps, very slow responses. 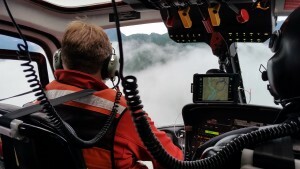 For SAR in BC each team has four inReach units and we have access to tracking via their enterprise web site and it’s also almost impossible to use. I can totally see why people look for something better and thanks for pointing out that link. I’ve also written software that can track inReach and SPOT in a single application, for similar reasons. I’ve used my gen 2 device for a few years with no problems. Then on my recent trip, not a single Facebook or SMS “OK” message reached home. My wife was not concerned – she figured I was the kind of muppet who…well, you know. 1. SMS failure. My wife had changed carrier last year but kept her number. I had checked the number was current before I left, but had not noticed that I needed to change the carrier. 2. Facebook failure. At some point I had edited my Facebook privacy settings to prevent unwanted meddling by third-party sites. This “platform” setting had disabled SPOT, even though on the SPOT web site it all appeared to be working. The solution was to unlink, then relink to Facebook. Then I got a message telling me that I needed to permit SPOT to access my profile – job done. 3. The six check-ins were all visible on the findmespot web site. So the device worked fine, just as it always has done. Hope that experience adds to the general info pool, and maybe helps someone. 2 Pings/Trackbacks for "“Malfunctioning” Satellite messengers"